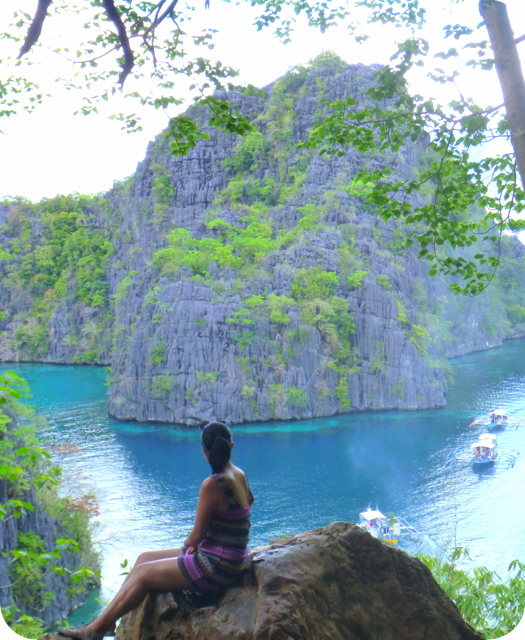 Things I Did in CORON That Made Me Fall in Love With it. Big Time. 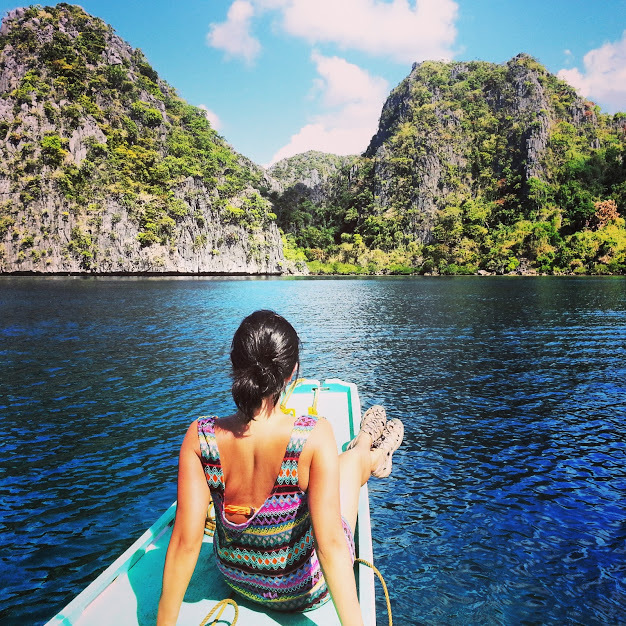 It’s so easy to fall in love with Coron, Palawan. Accessible, reasonably-priced, not crowded (but not isolated either), and most of all, it is purely stunning! 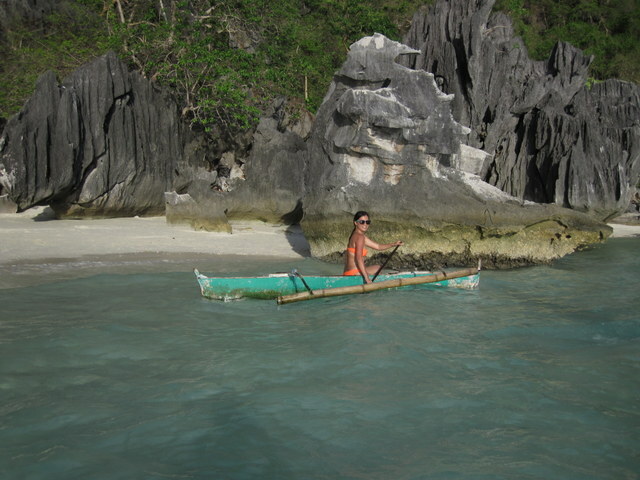 I can’t believe that in all the years I was in the Philippines, I’d only been to Coron last month. 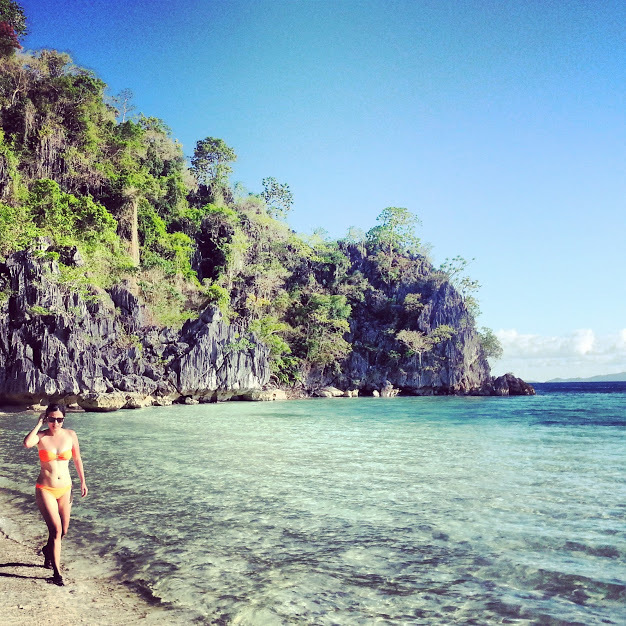 Had I known that Coron was this wonderful, I would have made it my summer and Christmas break go-to all those years! 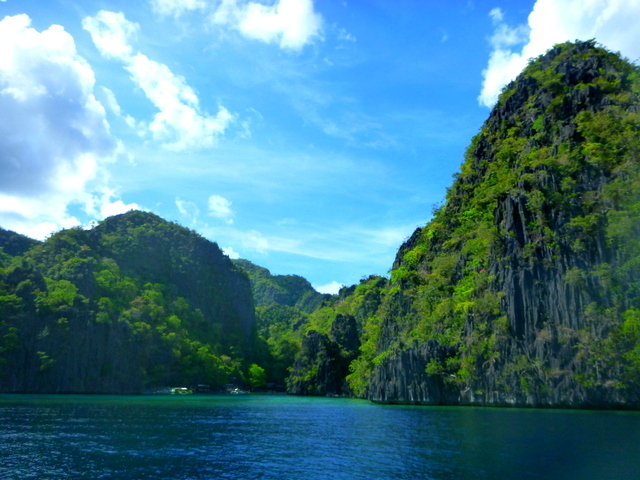 Getting to Coron is easy. 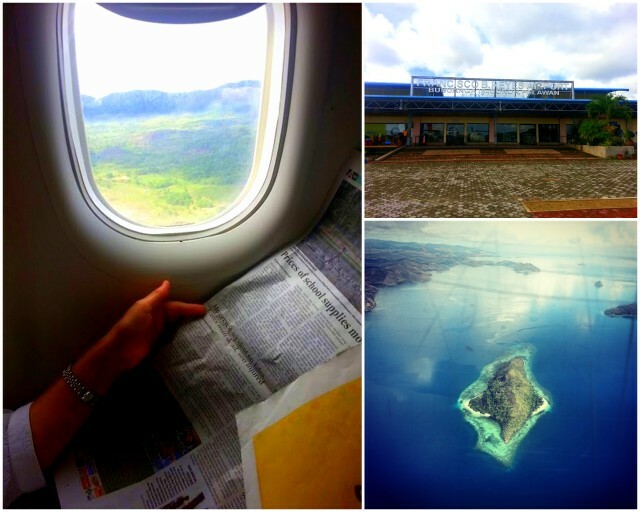 From Manila, there are several flights to Busuanga, the nearest town to Coron. 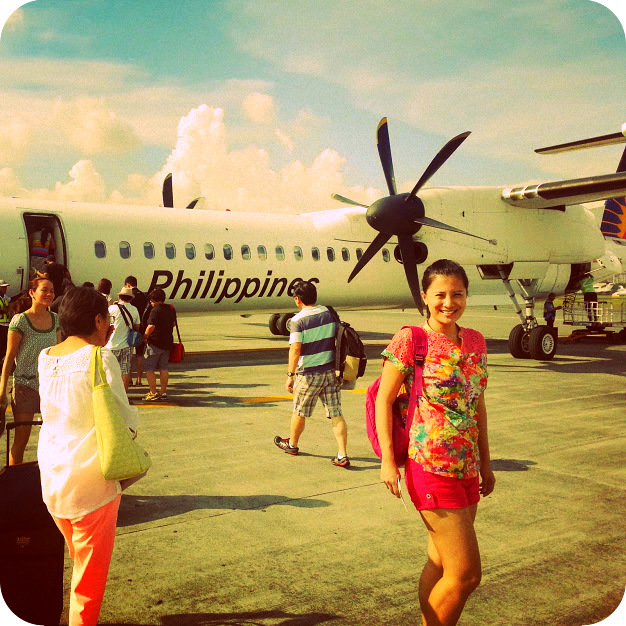 We took AirPhil Express, the low-cost domestic carrier of Philippine Airlines. We landed into Francisco B Reyes airport. Though our accommodation (Balinsasayaw Resort- review coming up! 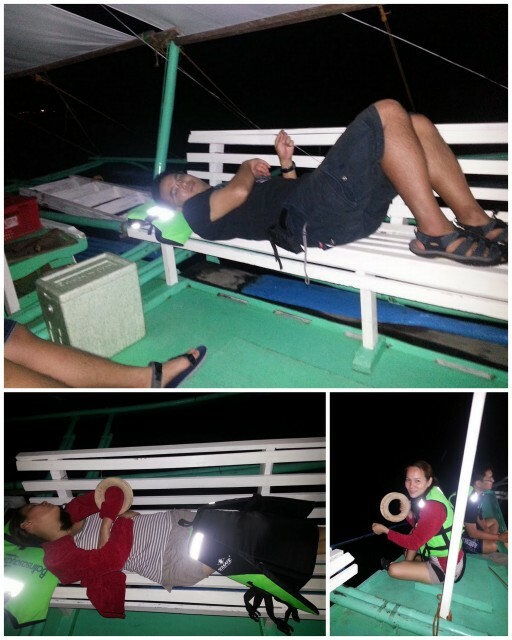 ), failed to send their van to pick us up, we were easily accommodated by another van (whom the resort arranged with hurriedly to pick us up) and dropped us to the port of Coron. This took about 30 – 40 minutes. From the port, we were picked up by a boat to get to our resort. We couldn’t wait to check out the underwater scene. We arrived before noon and after having lunch and abit of rest, we were taken to a nearby snorkelling area. 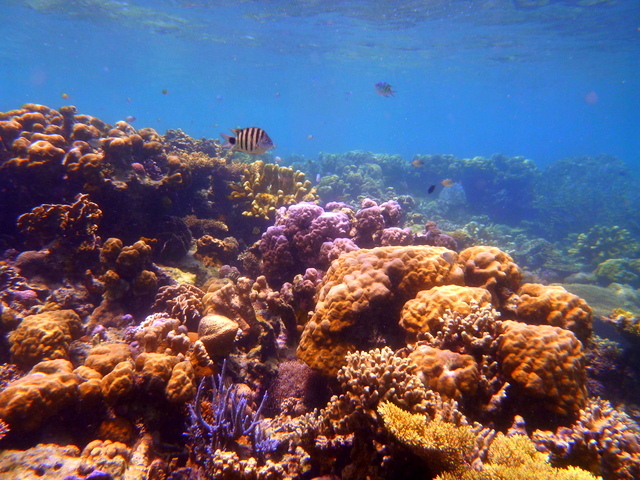 the weather that afternoon was downcast but we still managed to see abit of corals. They were alive, so it’s a pretty good sign! 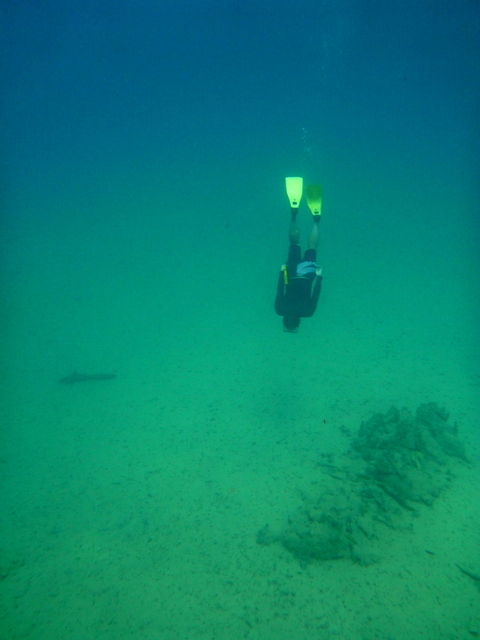 Now I loved my entire stay in Coron but my ultimate favourite day was when we went wreck diving. It’s one thing to dive with sharks and manta rays, but it’s also an entirely different sensation seeing gunboats and ships that have sunk over 60 years ago. A piece of history mixed with adventure? Why, that’s my kind of drink! Coron has dozens and dozens of small, hilly islands. What I heard is that during the Japanese invasion of the Philippines of World War II, the Japanese thought it clever to camouflage their warships ala one of the hilly islands. Apparently the Americans knew better and gunned them down. 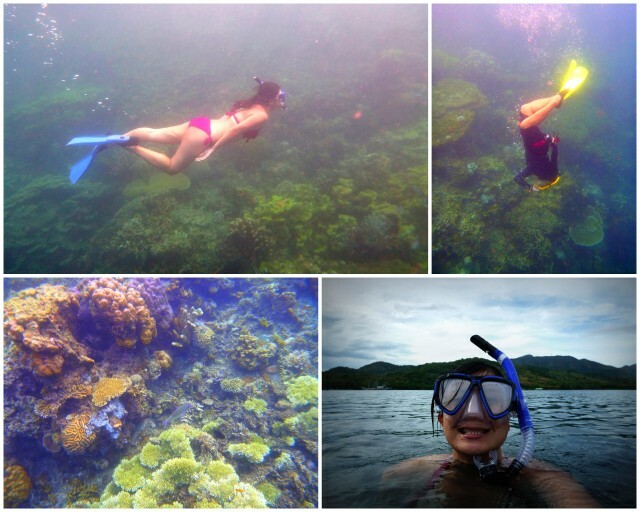 Coron is surrounded by tons and tons of shipwrecks. 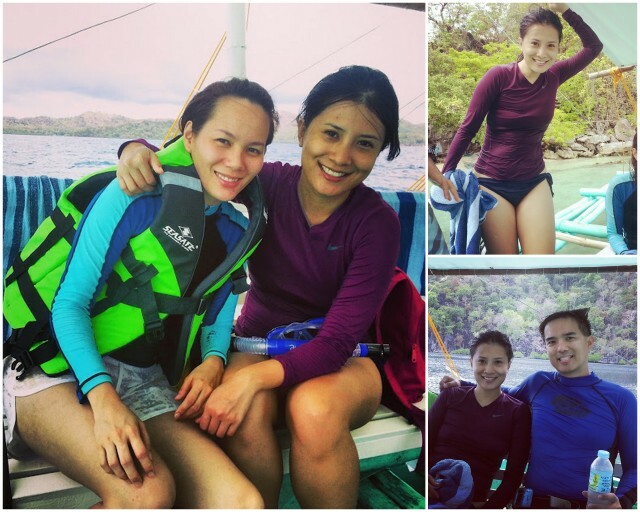 This is the main reason why divers flock to Coron. There are some wrecks that are in so deep that only advanced divers can explore. We went on 2 wreck sites. The first was Skeleton Wreck. This wreck is pretty shallow, and even snorkellers can see parts of the boat too. The second dive was East Tangat wreck. It was deeper, and far more interesting because you can still penetrate it and swim inside the actual ship. 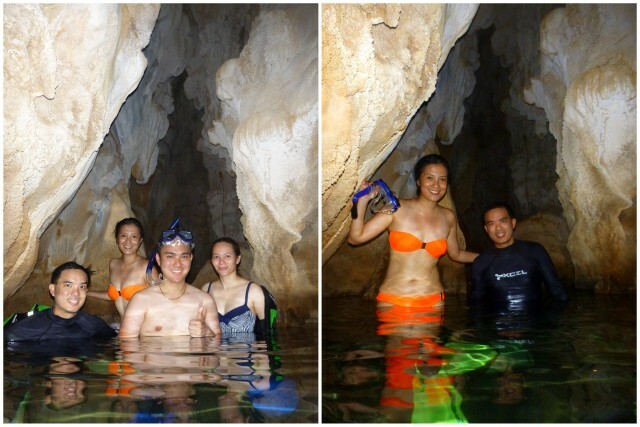 Next to the wreck dives, Kayangan Lake is probably the next most-visited area in Coron. I’d seen many photographs of the lake and the famous overlooking site (below). So I thought I knew what to expect. I actually thought I’d be abit underwhelmed because I’d been researching Coron over and over before our trip so I was abit saturated with photos of Kayangan Lake. But lo and behold, it still took my breath away! Now the actual location of Kayangan Lake is behind a hill, so this lookout is on top of the hill as we made our way towards the lake. The trek can be challenging. It takes about 20 minutes on slippery rocks (you really have to hold on to the bamboo railings). My advice is to arm yourself with insect-repellant lotion (on top of sunscreen) as there was just a ton of mosquito and flies as you make your way up and down the hill. 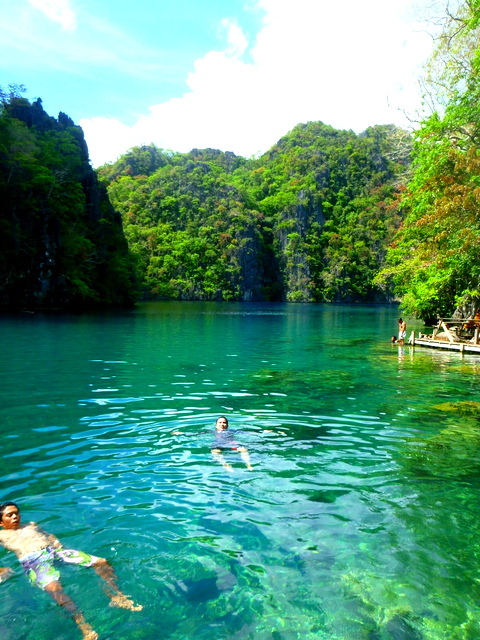 So this is Kayangan Lake. We were so hot and sweaty reaching the lake that it made sense to immediately jump into the water! Unlike Zombie, I didn’t jump. 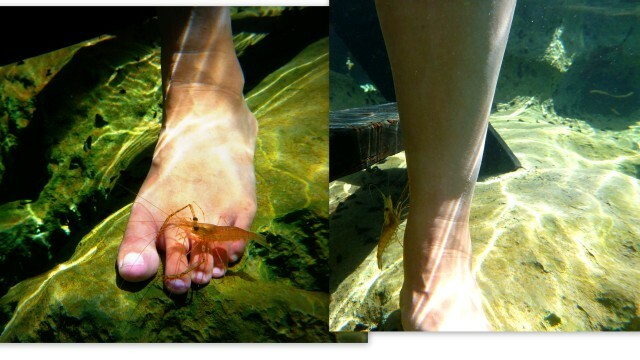 And the moment I stepped my foot in the lake, this little creature immediately gave me a welcome greeting. 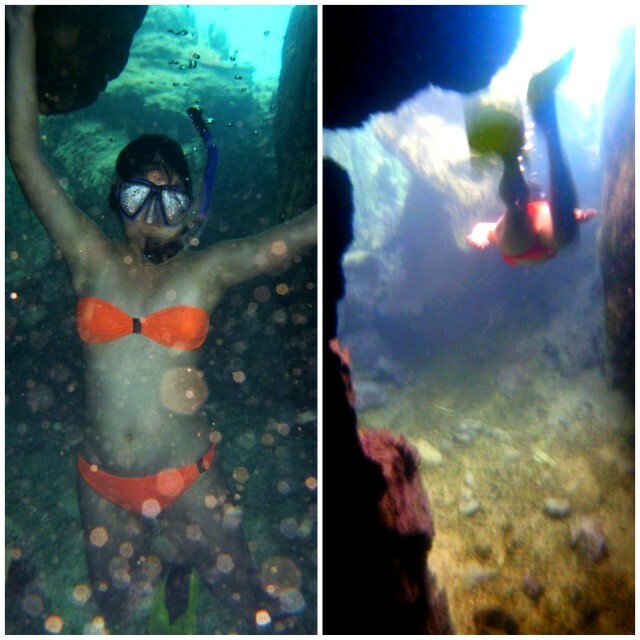 This reminded me so much of the underwater caves of Xcaret in Mexico. To me though, the most fun part is getting to and out of the cave. The lake is unbelievably clean, and without any waves or current, it was so relaxing to swim in it compared to the sea. Oh did I tell you about the lunch that I just didn’t want to end? 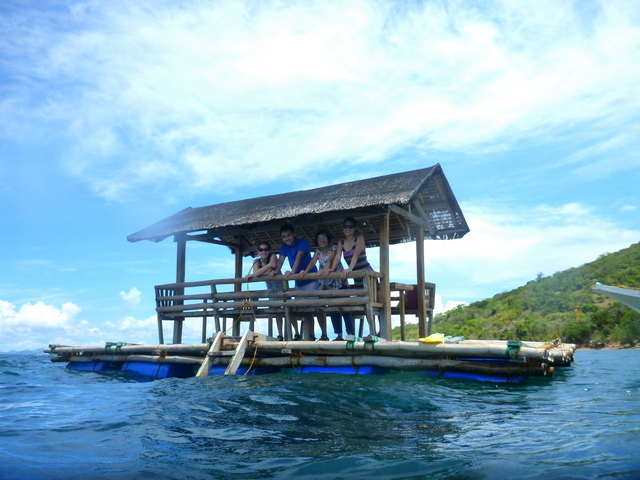 Our divemaster took us to this floating raft, and had our food delivered in it, from the resort to the little raft. Perfect company and good food amidst a a paradise ambiance? I sure haven’t had lunch like this in a long, long while. 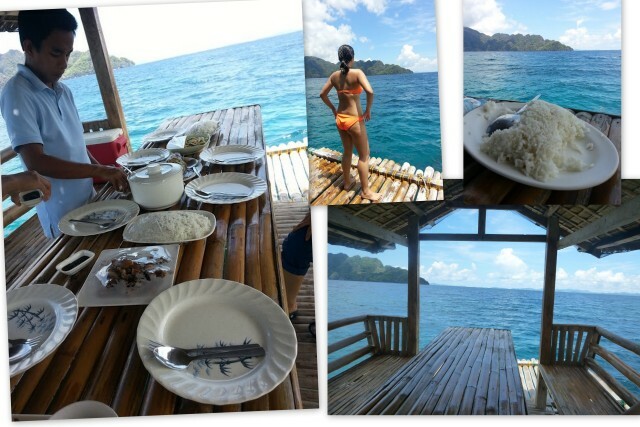 This lunch-raft location also turned out to be one of the best snorkelling/ free diving sites in Coron! Zombie just decided to jump, and when he surfaced, he declared that we MUST jump in. Real life-aquarium and screen saver is the perfect way to describe twin lakes. Coming closer to it, you can already see the corals from above. When nights are dark without any moon or stars, you are lucky to be able to go night fishing. 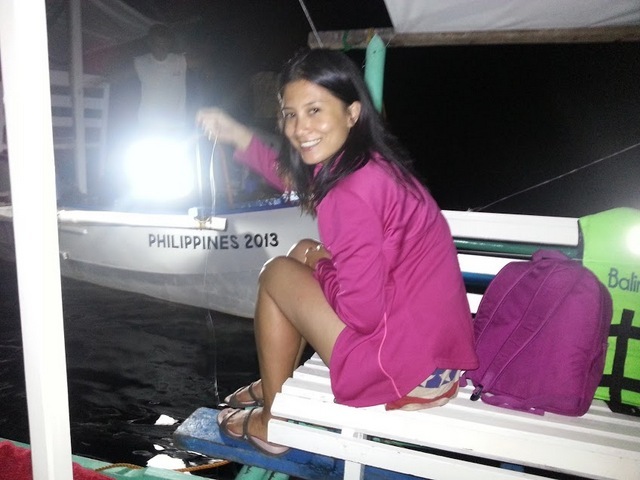 On our last night in Coron, it wasn’t exactly a dark night but we spotted a fishing vessel. We made our way to it and asked if we can “help” them. 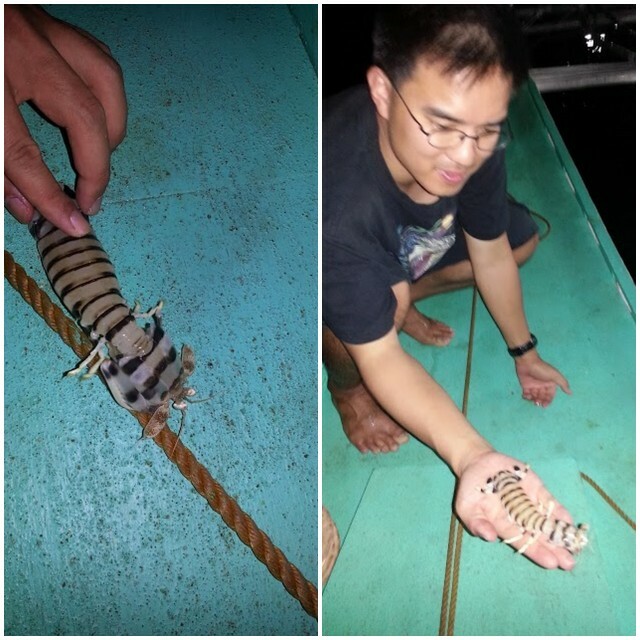 Well we weren’t so lucky with fishing but had an interesting catch- a Mantis prawn! People say that this is a “mini-Boracay”, but I don’t like the sound of it. It sounds as if Banol beach wants to be like Boracay. And I don’t want any place in Coron to be like Boracay! I’d rather be in Banol anytime! It’s a small beach with white sand (Boracay’s sand is finer) and the best part is it’s clean and secluded. It’s such a perfect way to spend a lazy afternoon. And we just lazed there by the shore, watching the sun set. 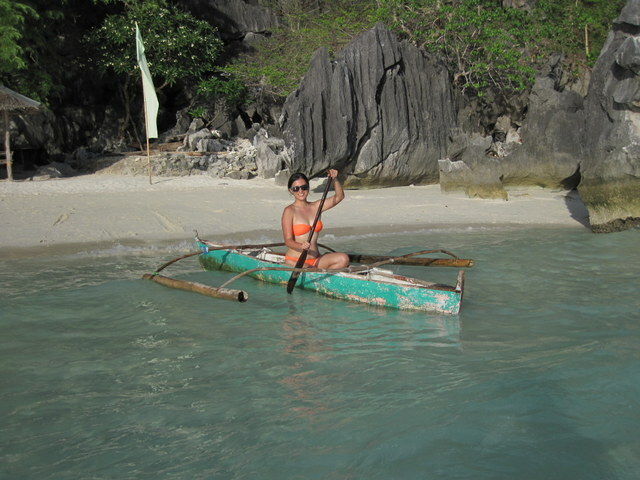 I hope to go back to Coron soon and see more of its shipwrecks. 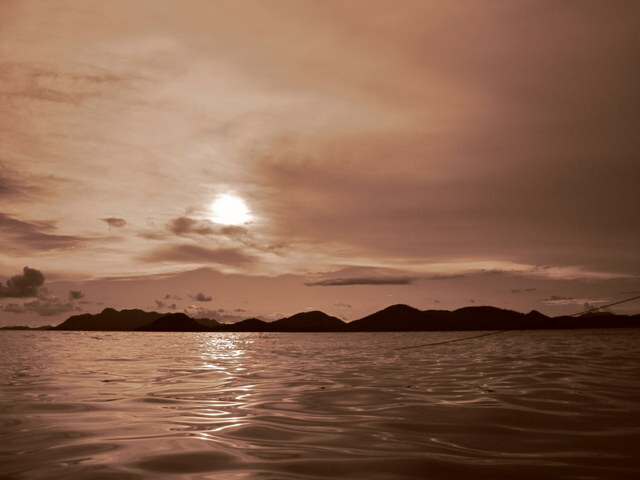 So again, why am I such a fan of Coron? Amazing views – check! 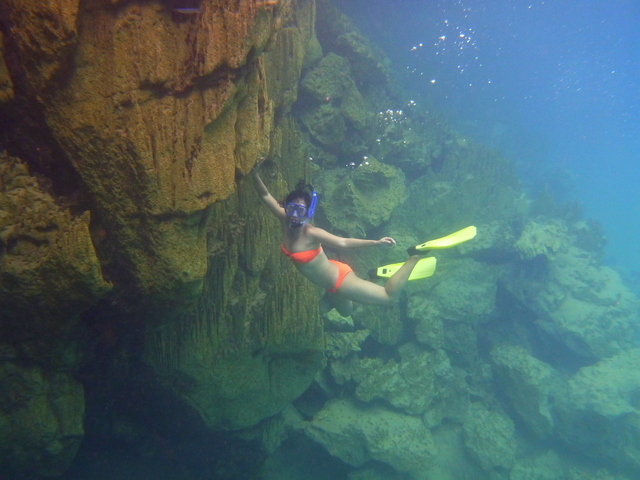 Amazing snorkelling/free-diving – check! 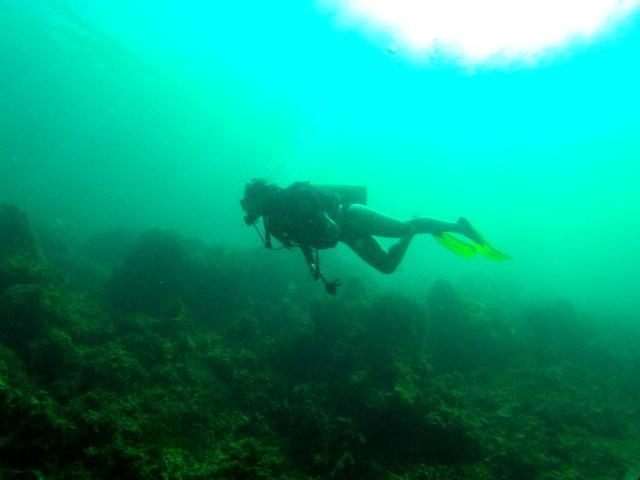 Shipwreck diving – check! Unspoilt and Clean– check! Uncommercialised- Check! Amazing seafood- Check! Accessible – check! Affordable- check! 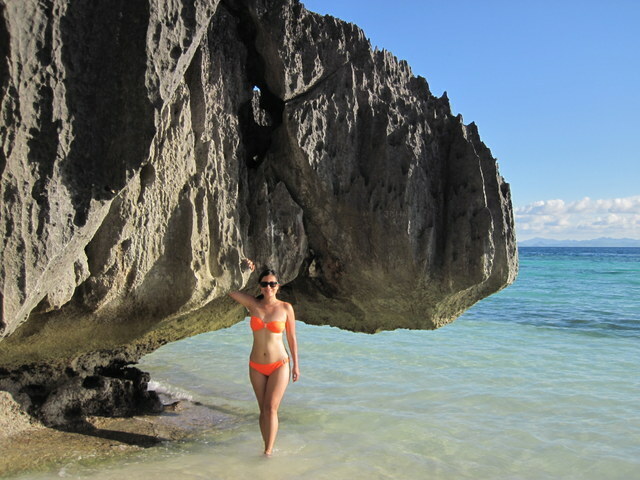 Coron, you are definitely Holy Smithereens-approved and I shall return! 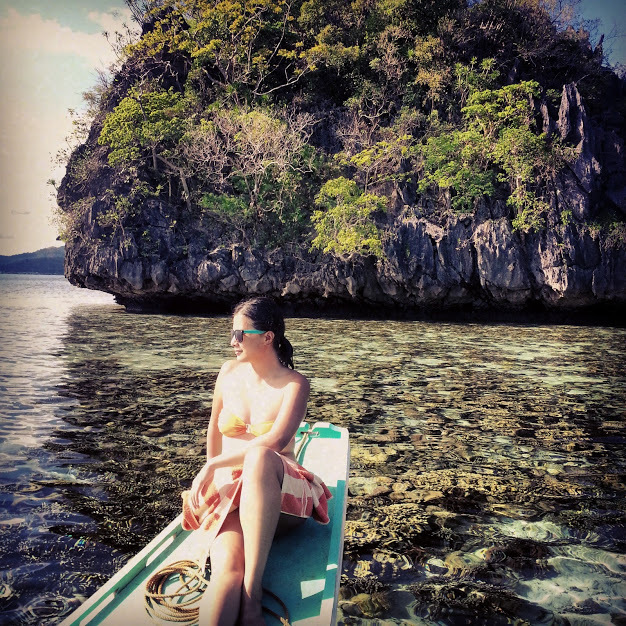 WHAT ACTIVITY WOULD YOU DO ALL DAY LONG WHEN YOU’RE IN A PLACE LIKE CORON? 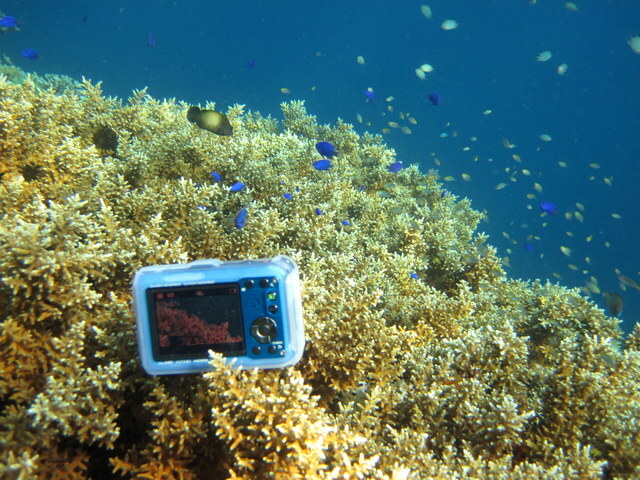 Hi what’s your underwater camera? HIIII JEANIEEEE, I’ve never been a fan of travelling blogs or sites much, but yours is reaaallly reaaally interesting [take it from me, i’m a couch potato xD] !!! And its nice to be updates on my cousins travels and all! xD Hope to have your next update sooooon!! Hi Ashley! Thank you. I was there in May too! did you go diving? You’re lucky to be heading back in September! It should be good. June-August is usually the typhoon months. have fun! 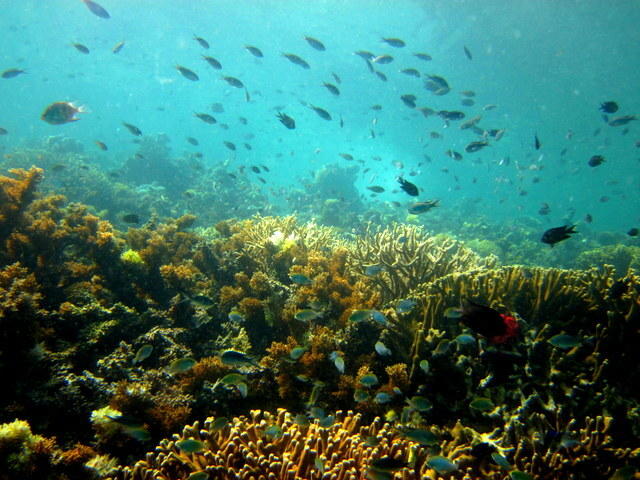 I know you would want to preserve the coral reefs as much as possible. 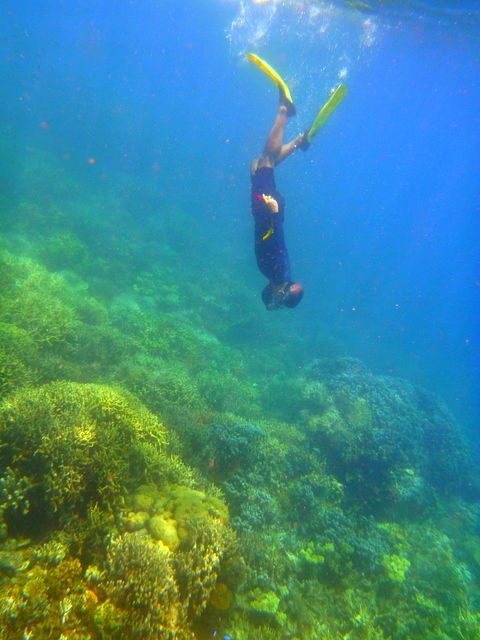 When I snorkel I also tell my guides not to touch the coral, which they often do, because they have not been informed. Hope you can help spread the word! Hi jean just came across ur blog bout caramoan,I’m planning to go there with my husband and family for a night stay, and I really love the detailed information you have on ur blog really helpful. Thanks I live in lucena city and the lady from the resort told me they can pick us up at naga, just goin to ask what camera are to u using (underwater) and any advise where to go to boracay ? ?